An elegant presentation for a classic! A three ring routine (from a standard set of Linking Rings) using new moves and some old ones, including moves with the rings and a piece of rope that you will love. Aldo perform this with music, but any kind of presentation can be applied. 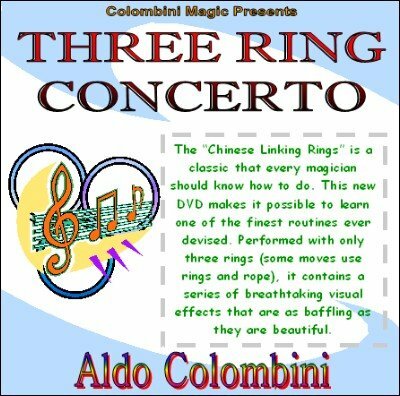 This routine has been Aldo's choice for an encore performance for many years.